If you want to purchase quality products then you came to the right place. Here at Latest Deals, we will provide you with the necessary information on where you can get the best cheap B&Q deals, offers, and voucher codes. You can save as much as 50% on selected items such as garden furniture, folding crates, plastic buckets, and garden shredder, among many others. Our community of bargain hunters will make sure that you get great value for your money. There are lots of products and equipment to make your work easier. Get £5 off £50 Spend as Apology for Website Downtime at B&Q with Code! Get all your DIY supplies and accessories at low prices with the latest B&Q voucher codes! B&Q is a British DIY and home improvement retailing company. They are headquartered in Eastleigh, England, the United Kingdom which was founded in 1969 by Richard Block and David Quayle. 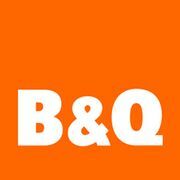 The name B&Q was derived from its original company name which was Block & Quayle. From its humble beginnings, now they have a wide collection of over 40,000 products. They also have 300 actual stores and online shops. In the past few years, they have closed a number of shops and converted them to outlets of Screwfix. They have closed down shops in China and Taiwan because they were not as successful as their UK retail stores. They are considered as the second largest retailer of home improvement products in Europe and fourth in the world. They have lots of home improvement products such as garden furniture, hot tubs, and power tools, among many others. The best thing about purchasing products from B&Q is that they are made from high-quality materials and they do not cost a lot. B&Q is also giving away big discounts to their valued clients. You can use their vouchers online and in-store. B&Q often have clearance sale events on their website where you can take advantage of massive savings on a wide array of garden furniture and accessories, bathroom essentials, tools, lighting, hardware essentials, tiling, flooring, heating, plumbing, and so much more. You can also build the kitchen of your dream with everyday low price on high-quality kitchen equipment and appliances. They are also dropping prices throughout the year for up to 70% off. So whether you want to upgrade your kitchen, refresh your home’s wall with a new paint or plan a new bathroom, B&Q got all your needs and budget covered. You can even give B&Q gift cards to your friends or loved ones. Gift cards can be purchased starting at £10. 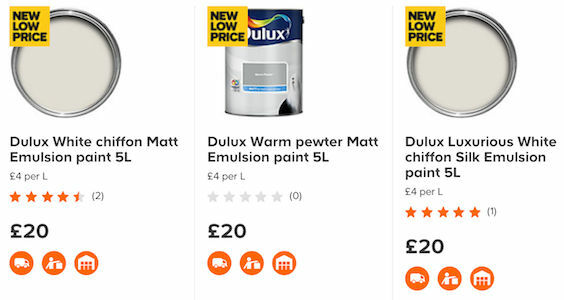 Here at Latest Deals you can find all the latests B&Q paint sales, sale dates, and sale this weekend. Our community of bargain hunters are always on the lookout to find the best possible B&Q discount codes, price drops, and voucher codes to verify and share for our members. While our team of money-saving experts are always sharing tips and tricks on how you can save on your online and instore B&Q shopping. Make sure to use the latest B&Q voucher codes here for fantastic additional money off on your purchases. Our deals here for a limited time, so grab them before they expire. 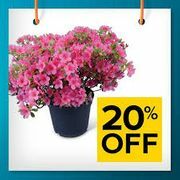 Do not forget to bookmark this page and never miss out on amazing bargain deals from B&Q and other popular UK retailers. Garden furniture. They have bistro tables, 6 seater dining sets, and garden sofas. They can provide you with furniture that you can put in your outdoor space. Outdoor play. They have a wide range of adventure playhouses that you can put on the lawn. You can even put it inside the garage so that the kids can play rain or shine. Hot Tubs. Relax in your own luxury spa. Purchase hot tubs that you can put in your garden. There are huge tubs that can be used by the whole family. Garden Power Tools. You can buy shears, electric hand grass cutters, lawn mowers, leaf blowers, and more. 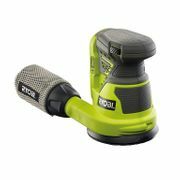 Maintain your garden with these power tools and equipment. Garden Storage. Place your tools and equipment in these storage items. They have crates that are made from wood, plastic, and metal. Plants, Seeds, and Bulbs. Aside from garden tools that also have Plants, Seeds, and Bulbs that can make your garden look great. Design and create your own landscape and add value to your home. Paving and Walling . Improve the aesthetic of your home installing block paving for driveways. You can also choose from various walling designs. Decking. Having a deck in your outdoor space is a great addition to your home. It is also a great landscaping option for your garden. Fence Panels and Gates. Secure your property and make it look great at the same time by installing fence panels and gates. Sheds and Cabins. They also have ready to build sheds and cabins that you can install in your lawn. You do not have to be a professional carpenter to build one. Outdoor lights. They have string lights, solar lights, and wall lights that can provide great lighting for your home. Choose from a wide variety of lighting fixtures that will suit your home. IY chain B&Q began in 1969 when brothers-in-law Block and Quayle opened a shop in a disused cinema, in Southampton. David Allard tells the story and meets Sylvie, the first B&Q till operator.